Make the most of the online shopping revolution. Create your Online Store today! With hundreds of online stores popping up everywhere, it is important that your eCommerce site has features that give it an edge over others. At Complete Cloud we provide you easy to manage shopping carts that both you and your customers will love! With more than 94% of Australians having access to internet, eCommerce sales in Australia rose to around $37 billion in 2013. Let’s have a look at some of the key features of a good online store. With hundreds of online stores popping up everywhere, it is important that your eCommerce site has features that gives it an edge over others. At Complete Cloud we provide you easy to manage shopping carts that both you and your customers will love! At Complete Cloud we help you create great looking online stores with ease. Custom design your online store with our built-in theme editor. You can easily make desired changes to the background, colours and fonts of your storefront. At Complete Cloud we offer you a number of pre-designed templates to choose from or you can even create your own stylized template. The best part is, all this is possible without any prior technical knowledge of HTML or CSS. Arrange all your online store data by simple drag and drop. Complete Cloud offers you built in Layout Editor to create stylish and attractive grid layouts in a matter of minutes. Our powerfully smart template engines and in-browse editors make it absolutely simple for new web developers to make any changes to template files directly from the admin panel creating the desired look and feel for your store. Call 1300 736 600 to know more! With Complete Cloud managing your store is hassle free with an easy to use content management system and administrative panel. Get compete control over your shopping cart with our easy store management. At Complete Cloud we provide you a great admin panel loaded with features. Our clear and intuitive design ensures all the required tools are handy at your fingertips for an effortless storefront management. Complete Cloud comes with a built -in Content Management System to create highly rich, engaging and optimized content. Create stunning pages using the latest WYSIWYG editor and exercise total control over the assembling and navigation of your storefront content. Customized product filters help customers look for the desired product easily on the website. Choose from over 10 languages and currencies with the product prices converted on the move. Want to create additional storefronts? Complete Cloud offers you the flexibility to create several storefronts with stylized and customized looks. Also, you can create a separate customer base and product listing for each of your stores while they share the database and admin control. Provide your customers with a seamless and secure shopping experience with our wide choice of payment options and a simple checkout page. Choose from a host of available payment options. Complete Cloud offers you more than 50 payment gateways including PayPal, Secure Pay, eway, Google Checkout for a secured and seamless online shopping experience. Our shopping cart solutions come with easy checkout feature. Customers can follow the easy steps and get conveniently done with the entire checkout process on a single page. Our online store software is well integrated with popular shipping providers in Australia as FedEx, UPS, USPS and DHL. This provides customers with the actual delivery costs directly on the checkout page based on the delivery location and shipping provider charges. Our shopping cart software allows you live customer order tracking. Keep a real time tab on customer profiles, behaviour, ways of shopping and more. Complete Cloud gives you online stores that comply with the PCI DSS guidelines. As an online merchant, you can rest assured when accepting customer card information for your storefront. Reach your storefront to millions of prospective buyers online by employing the right SEO techniques that both your customers and search bots will love. Our built-in Content management system helps you create SEO friendly tags and URLs for higher rankings on Google and other popular search engines. Ensure your online store adheres to the latest organic ranking algorithms by creating effective title and Meta descriptions, readable URLs, relevant keywords and a detailed sitemap for your storefront. With a host of online stores you need to lure your customers by giving them something to come back to your storefront over and again. Our ecommerce software provides you with a variety of offers and discount options that are super simple to set up. It is crucial that your online store loads fast and allows customers quick navigation, purchase and payment processing. 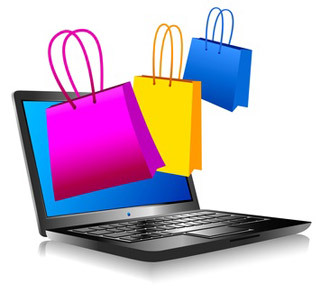 Our shopping cart software uses the latest web technologies ensuring buyers a memorable shopping experience!